Alexander Hauerslev Jensen and Will Butler from Be My Eyes along with Kyndra Lococo, Accessibility Partner and Community Programs Manager at Google, join Jeff Thompson from Blind Abilities to share the exciting partnership announced at CSUN. Image showing two phones in front of the other. The phone in front is displaying the Google profile on the Specialized Help platform, and the one behind is displaying a Be My Eyes call. – Alexander Hauerslev Jensen, CCO at Be My Eyes. It is Google’s mission to organize the world’s information and make it universally accessible and useful for everyone, and accessibility is a core consideration for Google from the earliest design stages to release. Now, Google also offers customer support that is accessible and more efficient for their blind and low-vision customers. ‍– Kyndra LoCoco, Accessibility Partner and Community Programs Manager at Google. The Google Disability Support will be open Monday through Friday 8AM-5PM PT, currently available in English only. 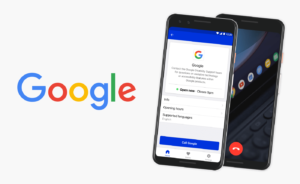 Google can be contacted through the Be My Eyes Specialized Help platform by users in Australia, Canada, Hong Kong, Ireland, India, Malaysia, Mexico, New Zealand, the Philippines, Singapore, South Africa, the United Kingdom, and the United States. We’re working to expand the Specialized Help platform, and if there are any companies that you would like to seek assistance from, please share your suggestion, and we’ll do our best to get them onboard the platform. And a huge Thank You goes out to Stephen Letnes and Louie Chee Chau for their beautiful music. Stephen provided the music for the Be My Eyes Promo and Chee Chau, the music in the podcast.